Cruise for a cause aboard the Carolina Belle to kick off your 4th of July weekend and to benefit Charleston Community Sailing! 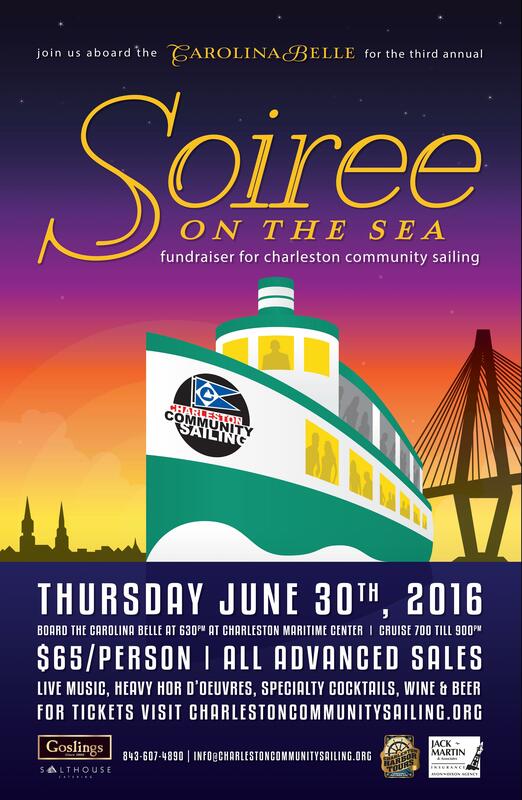 This event will raise funds for new sails and facility improvements as we continue to grow and expand programming into the Lowcountry. Live Music from Bill Wilson, Heavy Hors d’oeuvres, Gosling’s will be serving two specialty cocktails a Dark ‘n Stormy® and the South Shore (Gold Seal, Lemonade, splash ginger beer and bruised mint)! Follow the event online through our Facebook event page. Unable to make the event but still want to help us reach our fundraising goal? Make a tax-deductible donation online!